A10 DIST. MGR; STATE OF HAWAII DEPT. 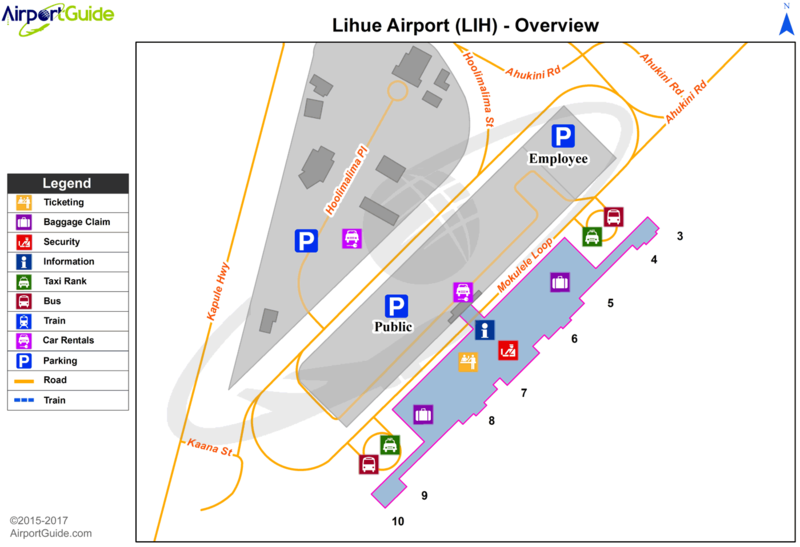 OF TRANSPORTATION AIRPORTS DIV. A110-1 STADIUM FLOOD LIGHTS 125 FT AGL/282 FT MSL/ 2400 FT SW FROM RWY 03 THR. A110-14 RY 17/35 WGT LIMIT DC10-10 340000 LBS; DC10-30 430000 LBS. A110-17 405 FT OF RY 17/35 500 FT SOUTH OF TWY D & RY 17/35 INTXN NOT VISIBLE FM ATCT. A110-18 HELICOPTER PADS 1-20 LCTD W OF CONTROL TOWER. A110-20 MISC 2 OF 3: ACFT NEEDING ENGINE RUNUPS FOR OTHER THAN NORMAL START-UP AND TAXI OUT ARE REQUIRED TO COORDINATE THESE RUNUPS WITH AIRPORT MGT. NORMAL RUNUP AREA IS ON TWY ALPHA NORTH OF TWY B AND ALPHA INTERSECTION. ACFT ORIENTATION IS DEPENDENT ON WIND AND WITH TOWER APPROVAL. A110-21 MISC 3 OF 3: POWER SETTING WILL NOT CAUSE DAMAGE TO LIGHTS AND SIGNS, IF RUN MAY CAUSE DAMAGE AN ALTERNATE LOCATION WILL BE SELECTED. A110-22 MISC 1 OF 3: PPR FOR PARKING ALL TRANSIENT ACFT, CALL ARPT OPS CONTROL (808)651-6255; FAX (808) 241-3939 BTN 1700Z 0230Z, OTHER TIMES (808) 274-3814. MILITARY/CIVILIAN ACFT CARRYING MUNITIONS/HAZMAT MUST COORDINATE ITINERARY NLT 24 HRS PRIOR TO ARRIVAL. A110-23 EXTENSIVE LARGE AND SMALL BIRD ACTIVITY INVOF RYS INCLUDING THE NENE GOOSE. A110-5 INTXN DEPS FM TWY D ON RY 17/35 NOT AUTHORIZED. A110-6 PPR FOR TRANSPORTATION OF DIVISION 1.1, 1.2, 1.3, 1.4 EXPLOSIVES AND HAZARDOUS MATERIAL IN AND OUT OF ARPT. CALL 1(808)241-3912. A110-7 MILITARY ACFT MAKE FUEL ARRANGEMENTS BEFORE ARRIVAL. A110-8 DUE TO NONVISIBILITY ATCT UNABLE TO PROVIDE ATC SVC BTN ACFT AND/OR VEHICLES ON TWY B FM 220 FT TO 500 FT S OF TWY D.
A43-03 UNUSBL BYD 1.5 NM AND 7 DEGS LEFT OF CNTRLN AND OFFSET 9.5 DEG E OF CNTRLN DUE TO RAPIDLY RISING TRRN. A43-17 UNUSBL BYD 5 DEGS RIGHT OF CNTRLN. A70 100 OCTANE FUEL AVBL 0900-1700. FOR JET A FUEL CALL 1-800-776-2138 OR 1-800-821-3122. 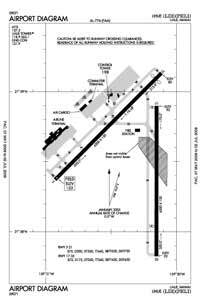 A81-APT ACTVT MALSR RWY 35; REIL RWYS 03, 17, & 21; PAPI RWY 03; MIRL RWY 03/21; HIRL RWY 17/35; TWY LGTS - CTAF. E147 TPA SINGLE ENGINE 1000 (851) MULTI ENGINE 1500 (1351). E40-21 GRADIENT 1.11% UP SW.
Dual Dual Tandem Wheel Landing Gear: 730. Dual Dual Tandem Wheel Landing Gear: 630.